John & Cheri Skubic know a whole lot of people – through work, play, organizations they are involved in and friends of friends who are drawn to the couple’s friendliness and hospitality. They have a considerable social network, which suits them just fine - after all, the more people they know, the more people they can introduce to Jesus. For years, the Skubics have lived out their personal faith statement: to lead ourselves and others one step closer to Christ. They pursue this mission prayerfully and intentionally by opening their home to friends and acquaintances and creating opportunities for them to learn more about Christianity, to ask questions about faith, and to meet Christ in personal and life changing ways. John, who was raised Catholic, dutifully followed Cheri to church and attended a bible study hosted by former Trinity Pastor Rick Langer, but his heart was not yet the Lord’s. Because of that, there was discord and conflict in their marriage. Cheri remembers laying hands on John while he was sleeping and praying that “God would make him into a man of God, because I knew we couldn’t move forward until that happened”. As Cheri prayed for John, the Lord continued to work in his heart. One night during their bible study, two years after Cheri began praying for his salvation, John gave his life to Christ. After a half dozen of these “Third Fridays,” they began to notice that there was a regular group of people who consistently came each week. Rick suggested that John lead that group in a deeper, more structured bible study. These home studies continued for a few years. The Skubics took a break when their son Jacob was young, then they resumed their kingdom-building mission. Says John of Cheri, “she is a natural evangelist, so she’s out there bringing people in.” John’s experience as a physician - listening, instructing, and interacting with people - has uniquely equipped him to shepherd those who have joined their bible studies. After those early years of disconnect in their relationship, Cheri greatly treasures their partnership. “We’re doing ministry together, and it’s the best thing in the world”. Last year at a social gathering, a friend asked if they’d start another “seekers study” like they had done with Rick years ago. The friend had been talking with some mutual acquaintances, many of whom Cheri hadn’t seen for years, and the idea “just came up”. A while later, Cheri ran into a different friend who asked her if she was still hosting a bible study. So, after praying for God’s direction, she and John sent out invitations again, this time to about 18 people who had loose connections to one another. Some whom they invite are antagonistic. Some walk out. But the majority find something in the study that keeps them returning. For these seekers groups, the Skubics utilize a study series which focuses on addressing tough questions such as “why do bad things happen to good people” and “is the bible reliable”. John notes that, “at the beginning of the study, 80% of the room might say they believe that all religions lead to God. By the end, they’ve come to a different understanding. Is the bible truth? At the beginning, many believed not; now, they believe the Bible IS truth. They’re getting knowledge of who God is and the fact that he desires relationship with them.” And for a number of these seekers, this knowledge has led them into a relationship with Christ. 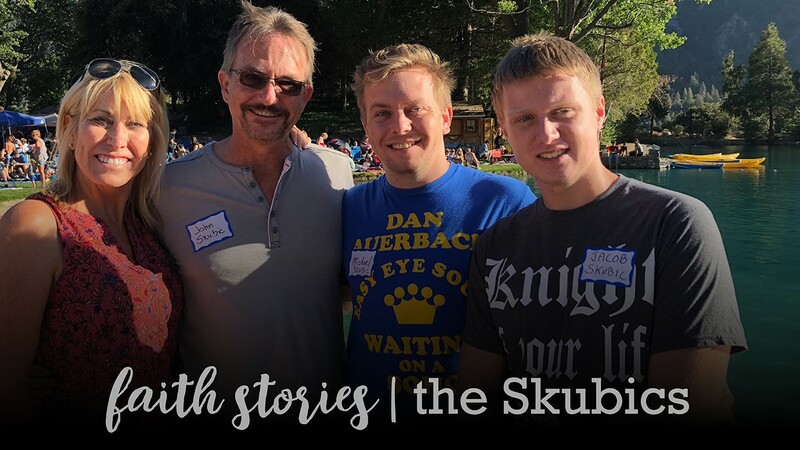 The Skubics delight in watching friends accept Christ, grow deeper in their faith, and then go and impact others in their own relational worlds.